motivation | Move better. Live more. It can be a challenge for all of us to stay motivated and get that workout in… EVEN for PERSONAL TRAINERS!! Sometimes I’d rather take a nap/watch a movie/eat a brownie… but I know that I will always feel better once I just get to it… and get it done. So if you are deliberating or giving yourself a million excuses for not getting your workout today… STOP. Stop thinking… and START, putting on your shoes, START walking toward the gym (or wherever your workout happens)… and just START going. Once you get going, and START… you will NEVER be upset about that. 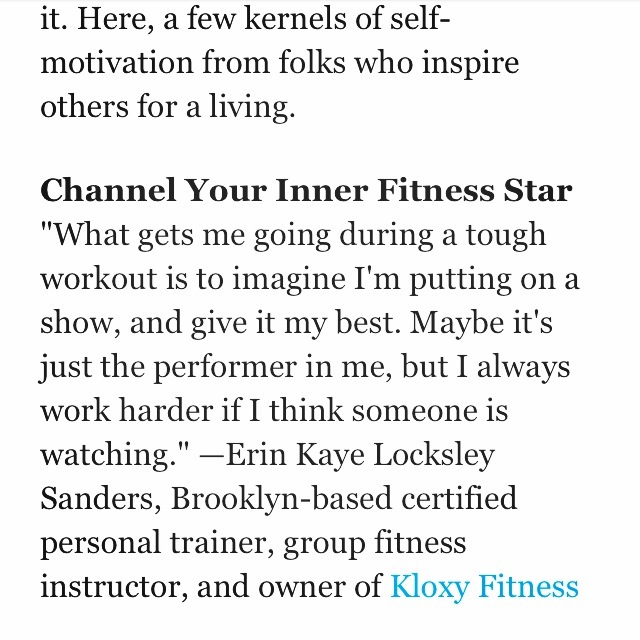 To check out the entire article, go here… and see what other trainers had to say. Big Thanks to Amy Roberts (fitness guru and writer)!